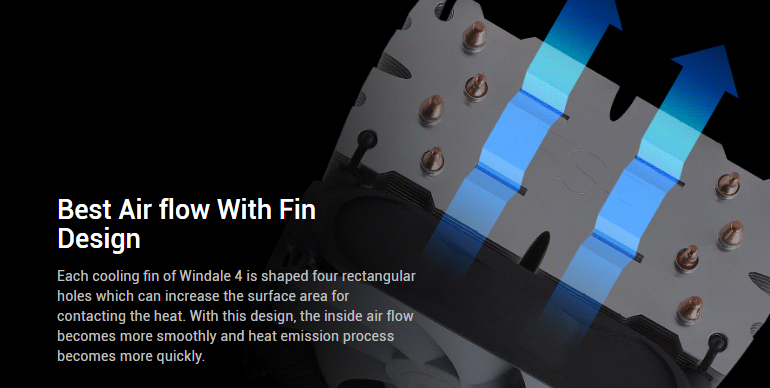 FSP CPU Air cooler windale Series come in two models: windale 6 and windale 4, both of them are featured with the CPU direct Contact technology which greatly helps to eliminate the CPU heat more efficiently. The cooler is equipped with a 120mm extreme silent fan and a heatsink with high-tech fin design, together they further enhance the cooling effects. They are also highly compatible with the latest Sockets from Intel and AMD. 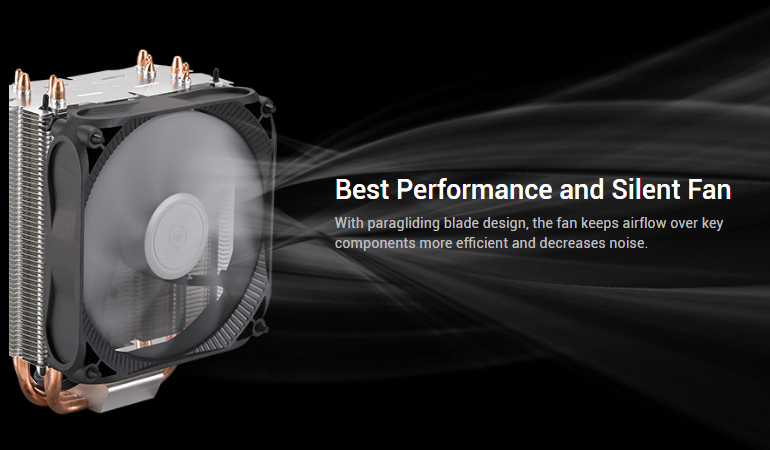 A 120mm fan in combination with direct touch heatpipes and High-tech fin, that catches the heat from the CPU and efficiently passes it to the connected heatpipes. 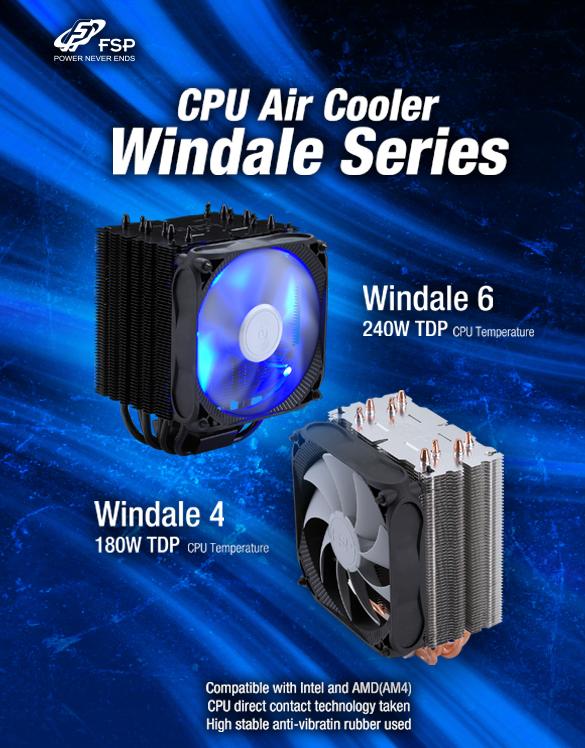 The Windale Series deliver outstanding cooling performance and greatly improve heat dissipation from the CPU. It ensures that the cooler stays relatively silent under extreme load situations. It’s the perfect entry product to PC Building.